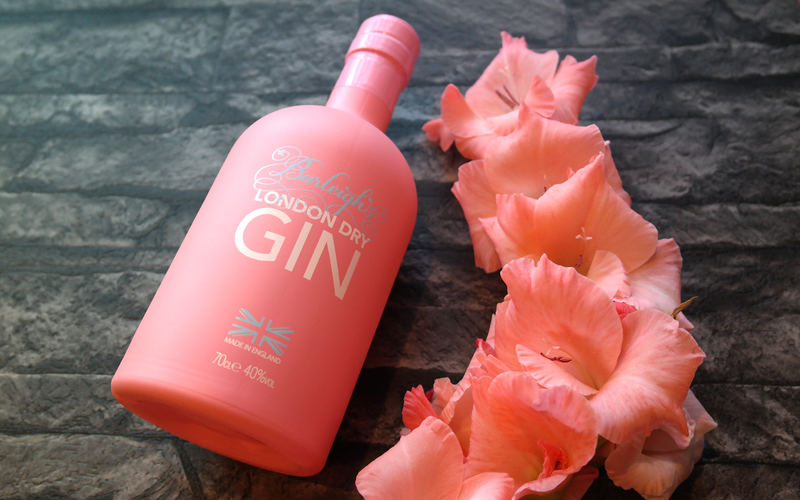 PERFECTLY PINK BURLEIGH'S GIN - Sugar, Darling? Long time readers may recall a cocktail I created last year called The Blushing Bessy which was really an homage to one of my all time favourite spirits Burleigh's Gin. Well my lovely husband surprised me with a really fabulous gift today, a bottle of Burleigh's new limited edition pink gin! This incredible new recipe was created by Burleigh's master distiller Jamie Baxter after a trip to Tokyo. Inspired by the displays of preserved cherry blossom he decided to create a new gin recipe distilled with some of the most beautiful pink botanicals imaginable - Japanese cherry blossom, pink grapefruit, hibiscus and rose flowers. This has resulted in one of the smoothest, freshest tasting gins I have ever tried and to be honest I'm kind of sad this is limited edition - you better believe I'll be treasuring this bottle and hiding it at the back of my cocktail cabinet! At £42.50 it's not a cheap tipple but in my opinion this isn't an unreasonable price for a premium gin like this, especially not with its special limited edition recipe. If you'd like to grab yourself a bottle you'll have to either head to their web shop or visit 45 West Bottle Shop and Bar in Leicester as these are the only two places where this very special spirit is available!